The sounds of water trickling down a stream, the smell of newly cut wood and the vast canvases of mellow colors full of allusions to the solar system, flight and time — this is what greets students, faculty and staff at Stanford’s new Windhover Contemplative Center, a building opened this year to promote wellness and introspection on the Stanford campus. Becky Belisle is a graduate student at Stanford who visited Windhover for the first time this week. “Self reflection is a very important part of one’s education. This monument to contemplation is a powerful symbol that Stanford has put store into the significance of self reflection,” she said. “It’s really easy to get caught up with the fast pace of Stanford,” said Freshman James Ortiz ’18. The Windhover Contemplative Center features walls and thick glass windows that block cellular and Internet signals, and the large windows within the interior of the building allow visitors to experience both the indoors and outdoors simultaneously. Windhover is named after the series of paintings that are featured in the center, done by the late Stanford professor emeritus of art, Nathan Oliveira. The paintings adorn most of the interior walls and, for freshman Robert Mencis, are best appreciated while studying. Mencis noted that looking up from his work at the Oliveira paintings made him notice more subtleties each time. “Over the past five weeks that I’ve been here at Stanford, this has become the place I want to study at the most. I love it!” Mencis said as he left Windhover, where he had been doing some assigned reading. Another feature of Windhover is the outdoor space, including a labyrinth inspired by the floors of Notre Dame Cathedral in Chartres, France. The large windows throughout the interior allow visitors to experience both the inside and outdoors simultaneously, echoing ideas of organic architecture and even evokes the feeling of a Frank Lloyd Wright design. “Windhover appeals to both indoor and outdoor people,” Ortiz said. Stuart Sy ’18 appreciated the way the space was created to promote meditation and energy refueling. “I like the quiet the most,” Sy explained. “They got the atmosphere right.” Sy, like many others, has taken advantage of Windhover for a study space. The center provides cushions and multiple benches as well as ample floor space where students can be found sprawled out with homework, pleasure reading, or merely pausing for a moment in their busy schedule to relax. 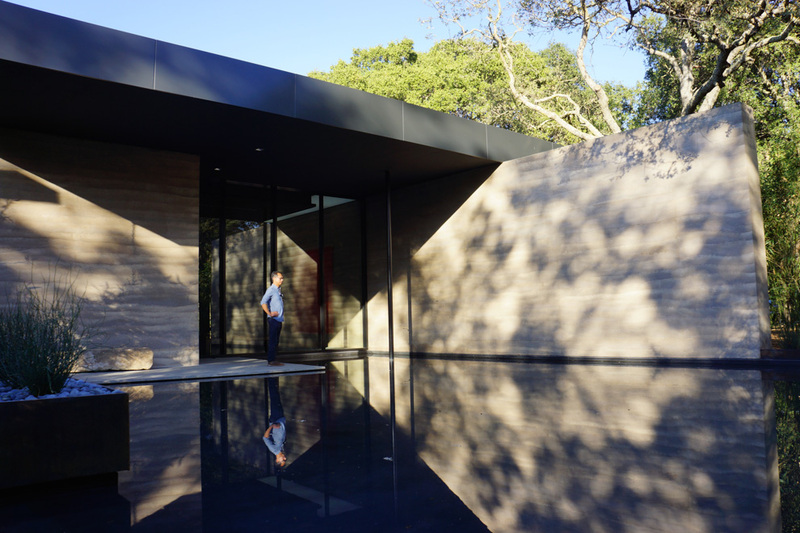 In the center’s mission statement, Windhover is described as a “spiritual refuge on the Stanford campus meant both to inspire and also to promote personal renewal.” An important facet of this refuge is the “technology free zone” that Windhover encourages. “Here, in the midst of Silicon Valley, is a device-free space filled with light, the touch of nature and incredible art, where we each have the opportunity to be still, to open ourselves to silence, to ponder, to walk the labyrinth. This is not a place for heavy programming or activity. It is a place to be,” said Jane Shaw, the dean for religious life, in her speech at the dedication of the center earlier this month. At the same ceremony, Provost Etchemendy tied in the history of Stanford with the current wellness campaign. “Windhover embodies the Stanfords’ belief that what they called the ‘cultivation and enlargement of the mind’ requires more than just rigorous study,” he said. Windhover is open to anyone with a Stanford ID card from 11 a.m. to 11 p.m. every day. The center also offers docent led tours every Tuesday at 10 a.m.